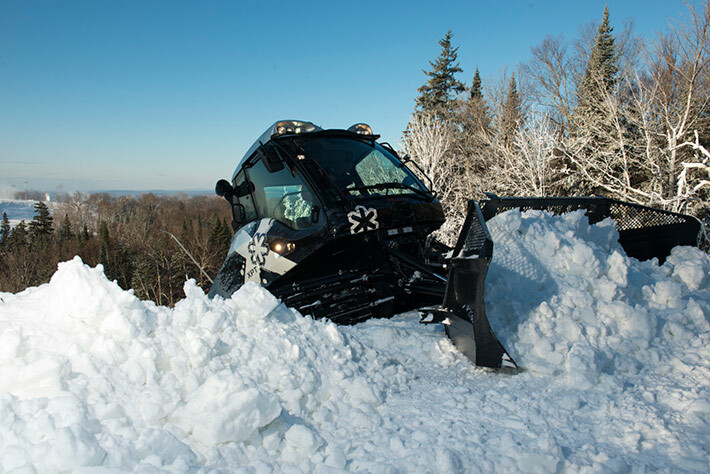 Tremblant has been following the evolution of grooming equipment technology for the past 75 years to constantly improve the quality of our snow. 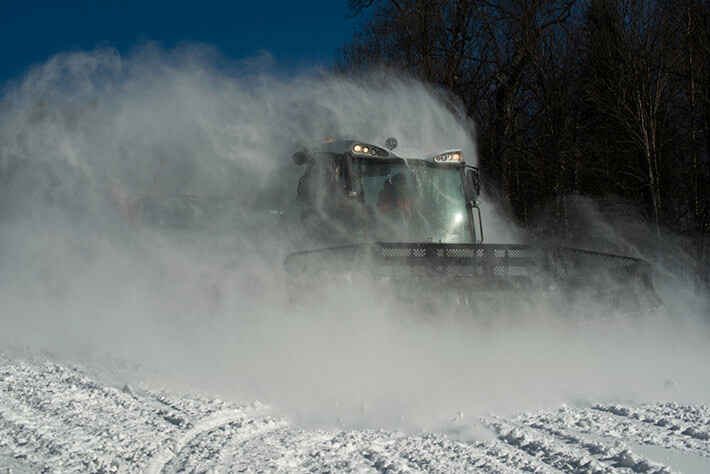 Our latest acquisition, a new Prinoth groomer, brings the total number of groomers working the trails to 11! This model is particularly interesting for its central cabin, providing the operator with better visibility, and for the agility of the front shovel and rear cutter. This groomer’s engine produces 355 horsepower, the strongest in its class. This new groomer helps our operations’ efficiency and allows us to cover a larger area much faster. 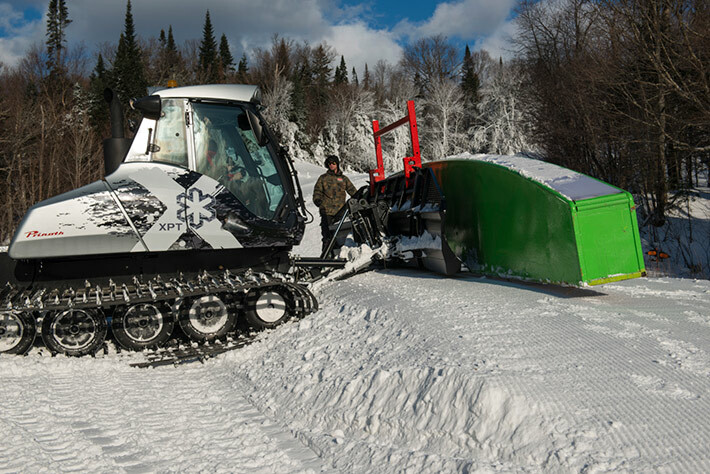 Notice this new groomer during your next visit and don’t hesitate to wave at the operator!